I couldn’t watch Nik Wallenda’s Walk last night until I knew he’d made it safely across. I’ve always harbored a secret terror of the falls – ever since I was a kid I’ve imagined myself being magnetically pulled into the powerful flow of water at the top of the falls, if I got too close. Even now, knowing via 40+ years of experience that that won’t happen to me, I still white-knuckle-grip the railings whenever I decide to venture close enough to witness that raw force of nature. One interviewer said something along the lines of: So, you say you pray a lot, before and after you walk. How can you even do that knowing you’re purposefully putting your life in danger? And Wallenda responded with something along of the lines of: Yes, I do pray. A lot. And that’s because God has given me this ability and also the desire to follow my dream of fulfilling it. 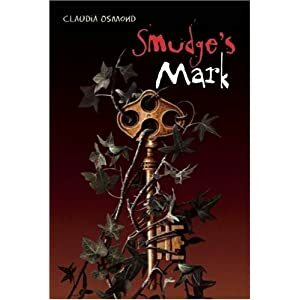 So, Claudia Osmond from Toronto Ontario Canada, do not give up on your dream, no matter how much it terrifies you at times, no matter how many times you hear – or feel – it’s impossible, no matter how long it takes you. Recognize the source of your ability and do it! I just did! It was amazing to me how my family totally missed the last part of what he said, but I heard it loud and clear. One of these days I might share the deeply personal story of how I came to finish my first book and actually submit it for publication. Publication was not on my mind when I started writing it. At. All. But that story is for another time. Last night, Nik Wallenda’s words of faith, trust, confidence, and passion were so alive to me. Yes! I thought. That’s right! You did it! Your whole life has been preparation for this moment in the mist: A lifetime of hard work, focus, prayer, vision. A lifetime of dedication that was deeply personal and unseen by the rest of the world. Until it was manifested within the span of 30 minutes. A lifetime of work boiled down to 30 minutes. 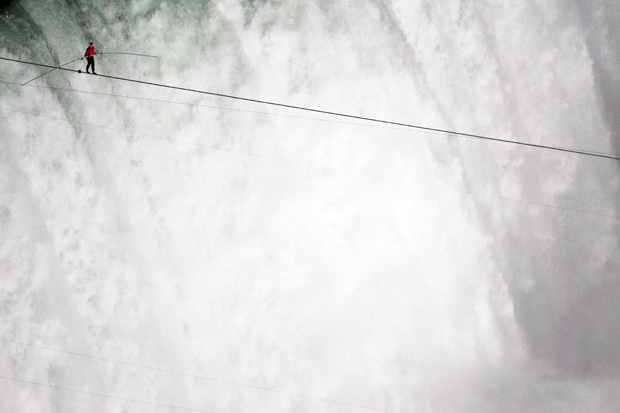 And even in the very act of achieving the dream he’d spent so long preparing for – that 30 minutes on the wire – Wallenda faced thick mist, 14 mph gusts, slick wire, raging water below and beside him. And the reality that no one else in history had accomplished this feat in 116 years. And still he did it. Don’t just follow; catch up to your dream. Never stop working. Never give up focus. Face your fears with white-knuckle determination. Walk steadily through your obstacles. Pray, meditate, renew your vision. Recognize the birthplace of your ability. And exert whatever effort it takes to achieve your 30 minutes on the wire.